Gently stir 2/3 cup kefir grains into a jar of 2 quarts milk. Let sit at room temp (about 72-75 degrees Fahrenheit) for 24 hours. After 24 hours, refrigerate kefir. •	To keep temperature constant, put kefir in a yogurt machine (following the directions of the yogurt machine) and plug into a lamp dimmer switch. 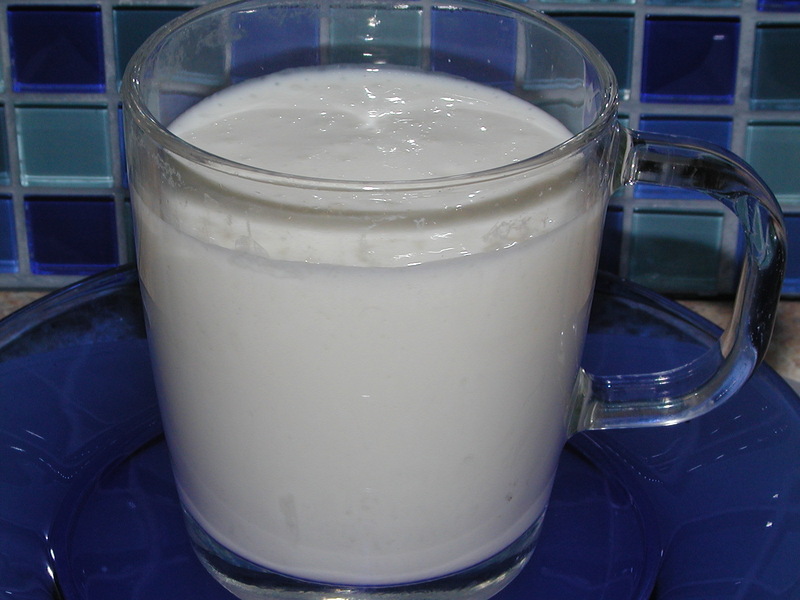 •	If kefir sits more than 24 hours, it may become tart, but is still edible and beneficial. •	Scoop kefir grains off top of current completed batch and reserve for next batch. •	Obtain kefir grains from friend or internet. •	Make sour cream using kefir grains by following the above instructions, except substitute cream for milk.